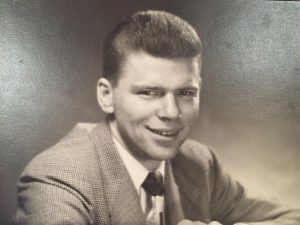 OSWEGO, NY – Edward Patrick Joseph Caraccioli Jr., 84, passed away on Sunday July 24, 2016, at Oswego Hospital surrounded by family. Born on Staten Island to the late Anna (Mistler) Caraccioli and Edward P. Caraccioli, on April 13, 1932, Mr. Caraccioli was a devoted husband of 62 years, father of seven, grandfather of 11and great-grandfather of three. He spent 35 years in the education profession as a teacher, principal and administrator including 17 years as principal of Fitzhugh Park Elementary School in Oswego before retiring in 1993 after serving as Director of Planning and Evaluation for the Oswego City School District. Having graduated high school at the age of 16, Mr. Caraccioli eventually made his way upstate to attend the Oswego State Teachers College beginning in 1949. In 1952, he fell in love with Barbara Coyer, who lived down the street from his Psi Phi fraternity house. He received his bachelor of arts degree from what is now SUNY- Oswego in early 1954, and Ed and Barbara were married the same day at St. Mary’s Church. Five weeks later, he was off to basic training after being drafted into the United States Army and served in Germany during the Korean War. It was during his service to his country that he learned his new bride was expecting twins. 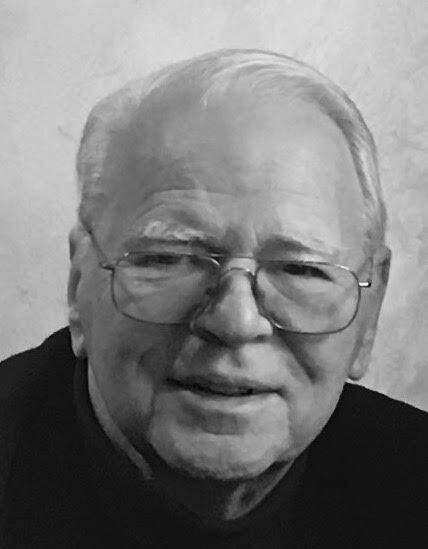 After his honorable discharge, Mr. Caraccioli completed his Masters of Education degree from Oswego State in 1960, followed by an Advanced Degree in School Administration from Syracuse University in 1964. Family and career were the central themes throughout his life as he and Barbara raised seven children, including two sets of twins, all whom survive him: fraternal twins Mary Anne (Rudy) Yanos of Las Vegas and Edward Michael (Esther) Caraccioli of Menifee, Calif., Paul (Elaine) Caraccioli of Oswego, John (Jeff Appel) Caraccioli of Montclair, NJ, Kevin Caraccioli (Chelsea Giovo) of Oswego, identical twins Gerard Caraccioli of New York City and Thomas (Mary) Caraccioli of New York City. He is also survived by his sister-in-law, Barbara (Sanford) Coyer, of Las Vegas; as well as 11 grandchildren, (Michele, Francis, Christian, Nazarine, Edward III, Malia, Elizabeth, William, Matthew, Jack and Olivia; three great-grandsons, Kory, Gavin and Hunter; several nieces and nephews. His teaching and administrative work took his family and him to live in Baldwinsville and Hornell, NY, prior to settling back in Oswego for the rest of his professional life and retirement. In addition to his work in education, he was a civic leader having been a long-standing member of the Oswego Rotary Club, serving as its past president and receiving a Paul Harris Fellow for his outstanding service. Much of his life was guided by Rotary’s Four Way Test: Is it the Truth? Is it Fair to all concerned? Will it build Goodwill and Friendship? Will it be Beneficial to all concerned? One of his most enduring contributions to the community was his founding of the Top 100 Award, annually honoring the top 25 high school students from each class who earned the highest grade point averages. Mr. Caraccioli was a lifelong parishioner of St. Mary’s Church, serving as a lecturer and Eucharistic Minister. He was past president of the SUNY-Oswego Alumni Association. His life-long love of baseball moved him to serve as an umpire for many years with Oswego Little League. He was an avid supporter of any activities involving his children. Noted as being fair but tough, as well as principled with a sense of humor, Ed had a thirst for knowledge and love of reading, music and his family – especially his beloved wife, Barbara. He left his mark on the world in many different ways and will be remembered, loved and missed by all. Calling hours will be held on Thursday, July 28, from 4-7 p.m. at Dowdle Funeral Home, at 154 E. Fourth St., Oswego. Funeral services will take place at St. Mary’s Church on Friday, July 29, at 9 a.m. and burial services will follow at St. Peter’s Cemetery. In lieu of flowers, the family asks that you consider making a donation to St. Mary’s Church, 103 W. Seventh St., Oswego, NY, 13126, or Oswego Hospital, 110 W. Sixth St., Oswego, NY, 13126. I love & will miss you Uncle Eddie! Glad you are with God now. We extend our sincere condolences to the Caraccioli family. Please know we are thinking of you. We just learned of his passing as we have been away. Sincere sympathies.